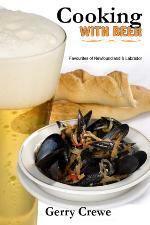 I was looking for a recipe book with Newfoundland recipes and came upon this one, Cooking with Beer: Favourites of Newfoundland and Labrador. It is full of recipes and, yes, each one has beer in it, from just a few ounces to a few cups. So far I have tried three of them and two have been very good, with Teena wanting me to make them again in the future. One was just OK. It was an onion marinaded in beer, then BBQed. I think the onion I used was too big so l can take the blame on that one. To me, it uses up too much beer for a side dish, so I would do that one again. The other two, Eric`s Red Chicken Lyonaisse and the Roast Loin of Pork with Beer, that I made last night were superb! 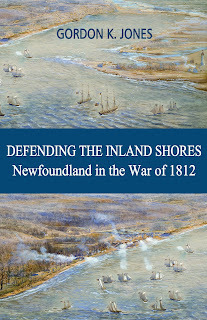 The author, Gerry Crewe, a native of Newfoundland, was a chef and teacher until he retired. He was named Chef of the Year for Atlantic Canada in 2001 and the same year was also nominated for Canadian Chef of the Year. He was nominated and selected for the Teaching Award of Excellence for College of the North Atlantic in 2004. He must be friends with the owners of Quidi Vidi Brewery as he has a short section on the history of that brewery and all his recipes ask for Quidi Vidi beer. As I can`t get that beer here, I use the same style of beer but a different brand. One fault is that the book is not well edited. One recipe told to uncover the pan for the last 20 minutes but never said how long the meat should be in the oven to begin with. Another required 8 oz of beer, but the instructions never said when to use it. It was obvious when, but should have never been missed. The recipes in the book cover drinks, appetizers, seafood, moose, beef, pork chicken and deserts. A good cookbook with lot`s of fun recipes to try.